A photo from my Nash Chemodan project was featured in the tenth issue of Incandescent, a magazine which focuses on color film photography. 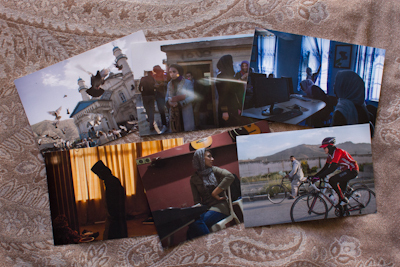 My photo reportage on what people do for fun in Kabul is being featured in the 2016 edition of The Fence, an outdoor exhibit that will be up in the summer and fall in five cities across the U.S.: Boston, New York City, Atlanta, Houston and Santa Fe. The Fence is a sister initiative to Photoville, which will be in Brooklyn from September 21-25. I'm happy to report that Voices Rising will be shown as part of the screenings program at Fotoistanbul festival. The theme of the festival this year is The Lives of Others. It's expecially exciting that I'll be able to attend. Come say hello :) The projections will take place every night of the festival's opening week, October 10th to the 14th, at Mimar Sinan Fine Arts University. The exhibitions will be up through the month of November all over Istanbul, Turkey. My project on Afghan women leaders, Voices Rising, will be shown in Night Projections as part of the Encontros da Imagem festival. This year's theme is Power and Illusion. The festival will take place from September 23rd to November 1st in Braga, Portugal. I just found out that I've been selected to participate an artist retreat organized by Asylum Arts. The retreat will be held in May in Garrison, New York. 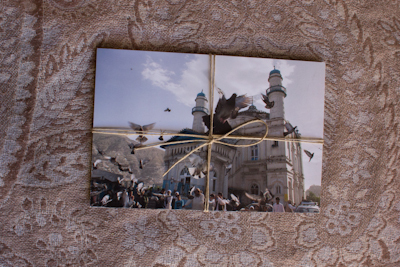 A set of six postcards from Voices Rising: Women Leaders in Afghanistan project is now available for purchase (until they run out). The price in the United States is $15 (including shipping). The price in the United Kingdom is £10 (including shipping). For other ways to pay, or prices for other locations, please get in touch. I'm honored to be the first speaker to be invited to address the School of Oriental and African Studies' Afghan Society. I'll be talking in general about my time in Kabul and Herat, and specifically about women's opportunities, freedoms and challenges. The event will be held from 7 to 9pm in room 4429 at SOAS, University of London, London WC1H 0XG. More details here. All images © Anna Loshkin, please do not use without permission.